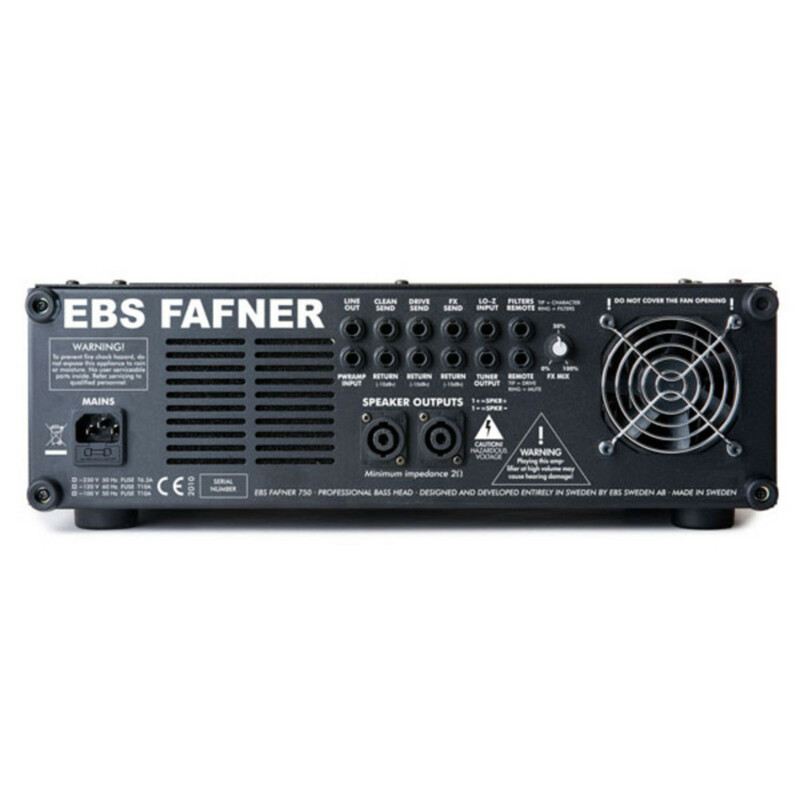 The EBS Fafner II Bass Amp Head is equipped with two channels, and delivers a full range of tone options with a mighty 700 Watts of raw power. Each channel can be used individually or blended together for a versatile sound. Other features include a built-in compressor, i and Lo boost filters, tube overdrive, a unique tube character switch and many more. Designed and built in Sweden, the Fafner II features a roadworthy design with an integrated carry handle for easy transportation. 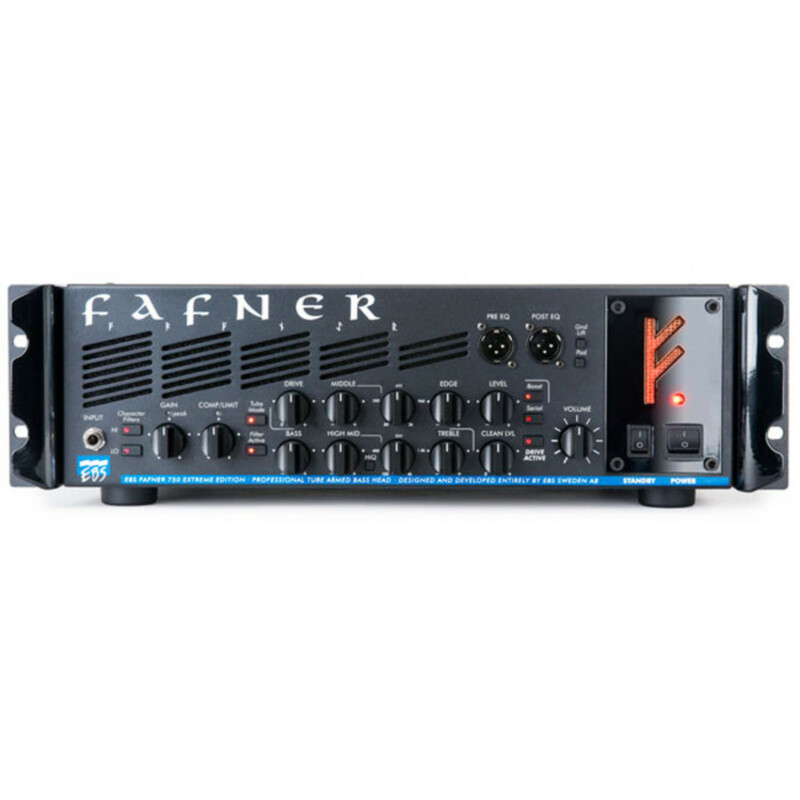 The EBS Fafner II Bass Amp Head uses a two channnel preamp that can be run in series or parallel mode. Switch between the two channels or blend them together to create your own unique sound. Each channel has inidividual effect loops and a common loop which provides maximum flexibility when using with your effects. You can easily connect a noise gate to the drive channel without affecting the clean channel or use a chorus on the clean channel without affecting the drive channel. An optional footswitch can be used to switch between channels, bypass filters, kick in the character filters or mute the rig while tuning. 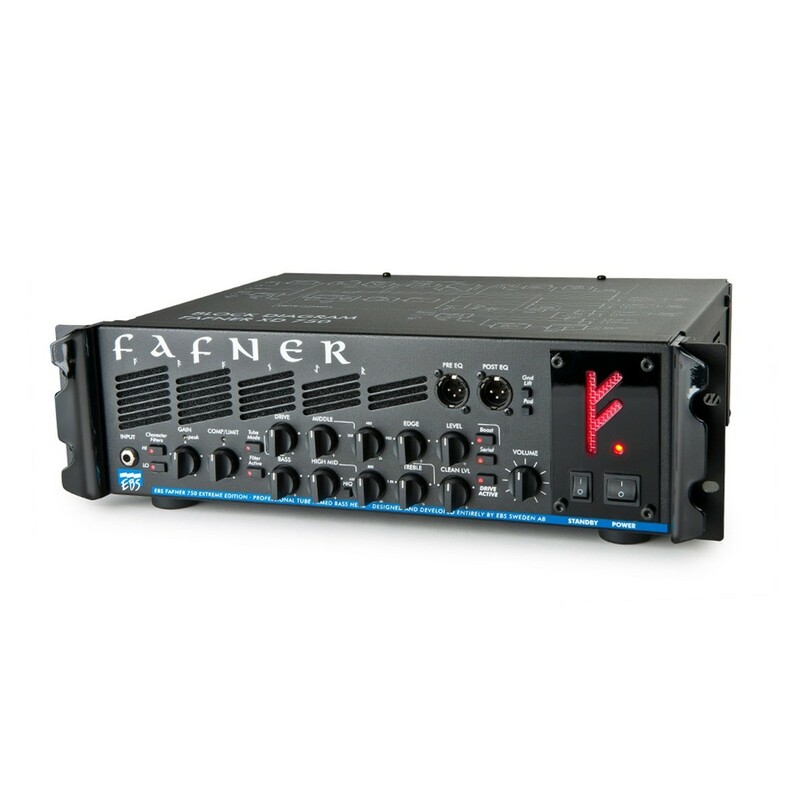 The Fafner's power amp delivers 750 W RMS raw power at 2 ohms, and more than 600 W RMS at 4 ohms! The two separate balanced XLR outputs, one pre and one post EQ, create an opportunity to blend a clean signal with a processed straight from the amp, or to use a clean signal to front of house and your own sound in the monitors on stage. It also gives you a wider choice of options when recording.